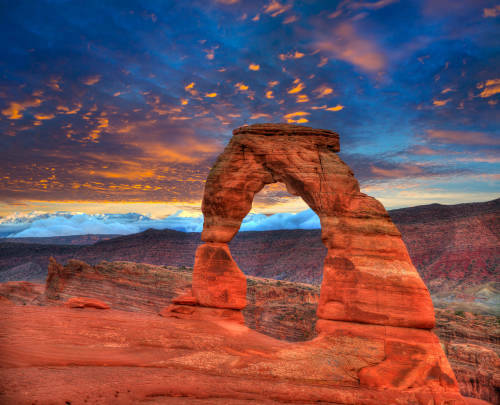 Arches National Park, one of many in the state of Utah, is no exception. 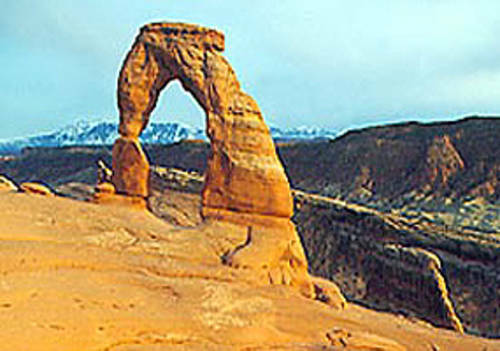 Home to more than 2,000 natural arches, this park is glorious from any direction, and the parks service has done all they can to make viewing it possible. Enjoy mountain biking? Visitors from the world round come to ride challenging single track trails that are seemingly endless. Easy going paved bike paths are also available, including one spectacular path running right outside the park along the Colorado River. For those visitors looking to take it a bit slower, there are many dedicated hiking paths including the path leading to the park's most famous landmark: Gentle Arch. If wildlife watching is what you want to do then you may have to look for a long time. The park holds many hiding places for bighorn sheep, deer, and red fox. Look long enough and with luck, you may see one of these beautiful creatures. Plan your trip and any accommodations well in advance, and arrive early. Campsites fill up quickly, especially on popular holidays like Valentine's Day weekend. The Sorrel River Ranch Resort & Spa is a four-diamond resort located just 30 minutes from Arches National Park and an hour from Canyonlands National Park. This stunning 160-acre resort combines the warm hospitality of a traditional ranch with luxurious accommodations. There are 59 guest rooms on the property comprised of studios, suites, and a private estate. All of the accommodations have an extensive list of amenities including kitchenettes, views, plush bathrobes and more. The Red Cliffs Lodge sits on the banks of the Colorado River among the stunning Red Rock cliffs of Utah. The resort has an on-site restaurant, exercise room, hot tub, pool and tennis courts. The lodge has five unique room options for guests to choose from.